Article 19 of the Convention on the Rights of the Child (CRC) obligates to governments to protect children from all forms of physical or mental violence, injury or abuse, neglect or negligent treatment, maltreatment or exploitation, including sexual abuse, while in the care of parent(s), legal guardian(s) or any other person who has the care of a child. To date, the United States stands alone as the only country in the world that has not ratified the CRC. Although the United States has not committed itself legally to the fundamental protections of the CRC, surely it and every other government has a moral responsibility to protect its youngest citizens. After all, they're our future! An estimated 4.1 million referrals involving approximately 7.5 million children were received by state child protection service agencies. For FFY 2017, approximately 3.5 million children were the subjects of at least one report of child maltreatment. For FFY 2017, an estimated 674,000 children were estimated to be victims of child abuse and neglect. The majority of children reported to child protective services were victims of neglect (74.9%), while 18.3% were victims of physical abuse. Source: U.S. Department of Health & Human Services, Administration for Children and Families, Administration on Children, Youth and Families, Children’s Bureau. (2019). Child Maltreatment 2017. Available from https://www.acf.hhs.gov/cb/research-data-technology/ statistics-research/child-maltreatment. Why should child abuse and neglect be treated as a public health problem? Prevalence - the sheer numbers of children affected by child abuse and neglect demands a preventive approach. In the United States, it has been estimated that 1 in 5 children experience child maltreatment. Neglect - Nearly 75 percent of the reports to child protective services agencies are for issues involving neglect. This may include leaving children alone for a period of time while parents go to work, not having enough food to eat, failure to provide adequate health care, living in housing that is inadequate, failure to meet the child's educational needs, or failure to provide emotional, support, love and affection to a child. These are issues that can be prevented with adequate support to a family! Costs to Society - Child abuse and neglect is costly to society! It's hard to know exactly how costly child maltreatment is. 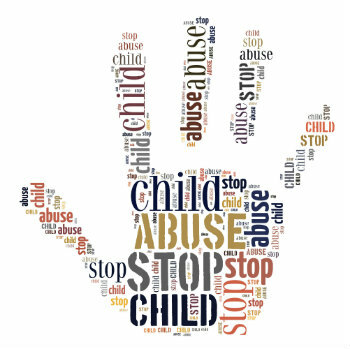 In 2012, the CDC estimated the total lifetime costs of new cases of child maltreatment (physical, sexual, and psychological abuse and neglect) is approximately $124 billion. The estimated lifetime cost per victim includes childhood health care costs, adult medical costs, lost productivity, child welfare costs, criminal justice costs, and special education costs. Learn more about the economic impact of child maltreatment. These factors, along with the realization that child abuse and neglect is entirely preventable, have led to a growing consensus that child maltreatment is a public health concern. The public health field is concerned with protecting the health, safety and well-being of entire populations by preventing problems. Public health agencies have the capacity to facilitate collective action in addressing problems by bringing together diverse community stakeholders. The prevention of violence against children requires understanding the factors that contribute to risk for violence. Risk can be individual, but it also arises in the context of the family, the community and in society. The social-ecological framework used by the Centers for Disease Control helps to illustrate the interplay of these factors and the likely impact of potential strategies for preventing child maltreatment. 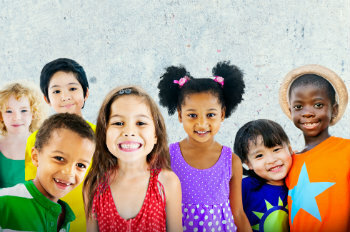 Consistent with a public health approach, interventions to prevent child maltreatment may involve strategies that can be classified as primary (e.g., universally applied), secondary (e.g., targeted to populations at risk of child maltreatment) or tertiary (e.g., targeted to populations already identified by the child protective service system). Essentials for Childhood is an initiative designed to promote relationships and environments in neighborhoods and communities in which every child can thrive. Learn more about the framework. MST-CAN is an intensive intervention for families who have come to the attention of the child protective service system. Learn more at the California Evidence-Based Clearinghouse. Nurse Family Partnership works uses specially trained nurses to work with first time moms, usually low-income and unmarried, to help them succeed in parenting. Learn more. Safe Families for Children mobilizes volunteers to host children and to provide support to caregivers during times of crisis.